After my experiments with infused vodkas and homemade gin last Christmas, the requests have come in. Mostly from my husband. So when I came across this super simple Apricot Brandy recipe on Buzzfeed’s list of 30 Best DIY Food Gifts, how could I resist? PS–there’s a ton of other awesome suggestions as well like bacon salt, cinnamon honey butter and homemade dog biscuits. I’m not a big spirit drinker, even flavored spirits don’t really appeal to me. For me, the best part of this brandy was the double gift outcome. After soaking dried apricots in the brandy to extract their flavor (it’s pretty amazing how quickly those wrinkly apricots puff up, almost like new), you strain the brandy and are left with very brandy soaked apricots. Currently, they’re sitting in a mason jar in the fridge but I’m thinking they’d taste pretty good in bread pudding! Combine water, sugar and honey in a small saucepan and cook over medium heat until sugar dissolves. 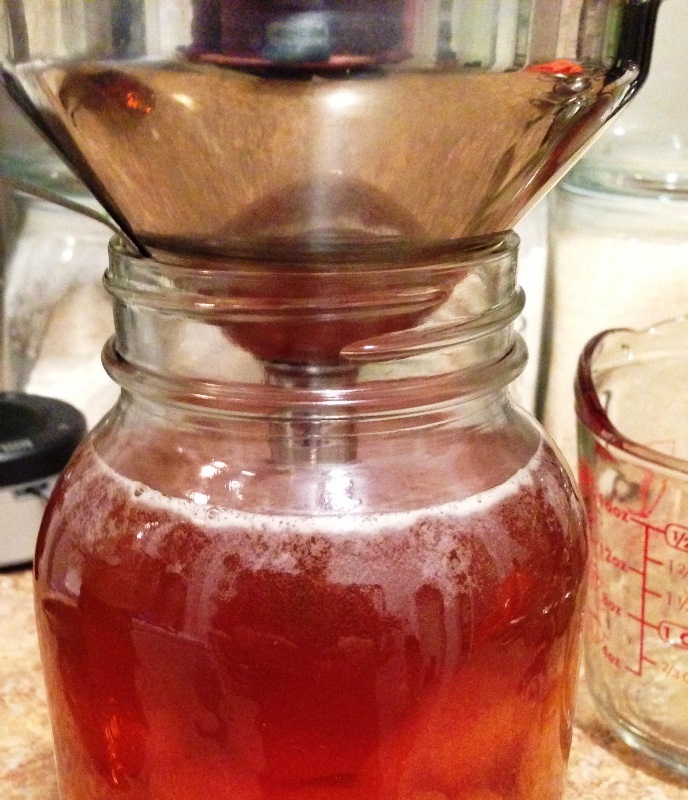 Allow syrup to cool slightly and combine with brandy and fruit in quart-sized mason jar. Store in a cool, dark place for at least 4 weeks, shaking every few days. 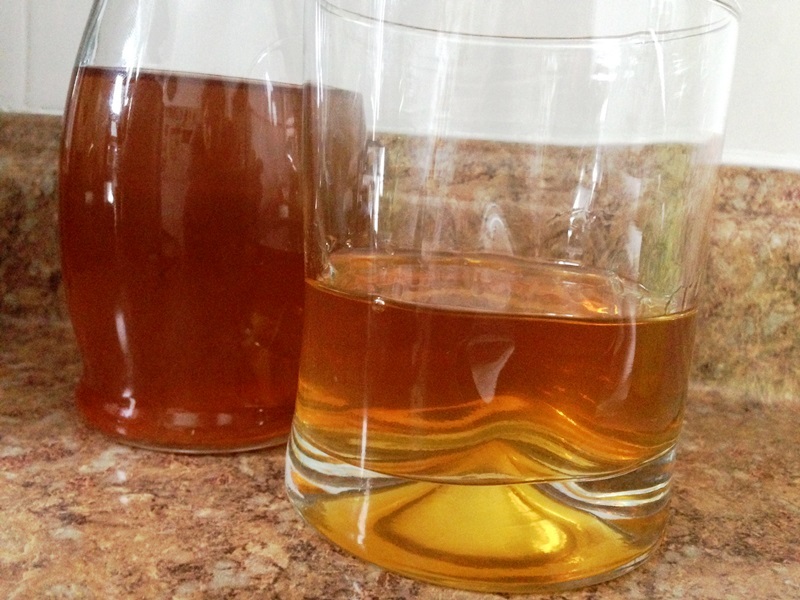 Strain brandy though a double layer of dampened cheesecloth or coffee filter into a clean container. 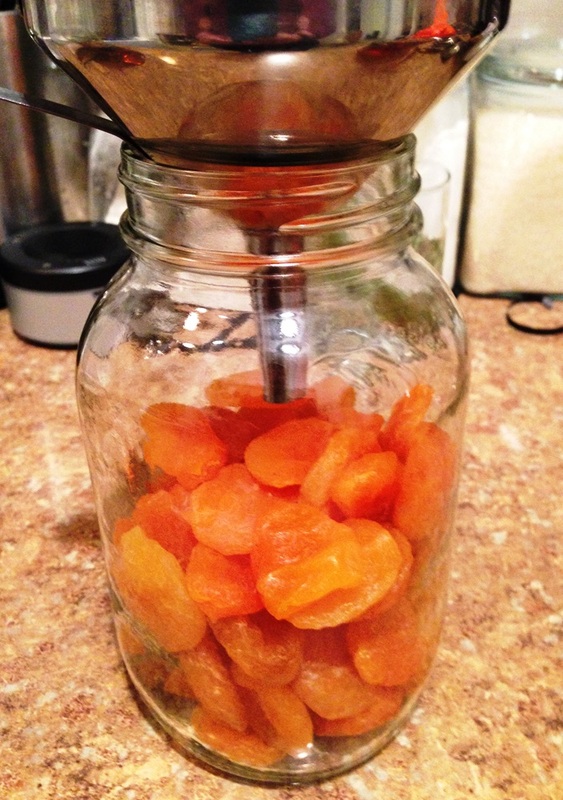 Make sure to press as much brandy out of the apricots as possible. Reserve apricots for another use. Seal brandy and store for up to one year. Oh wow, this is wonderful and I would love those apricots after they infuse the brandy!